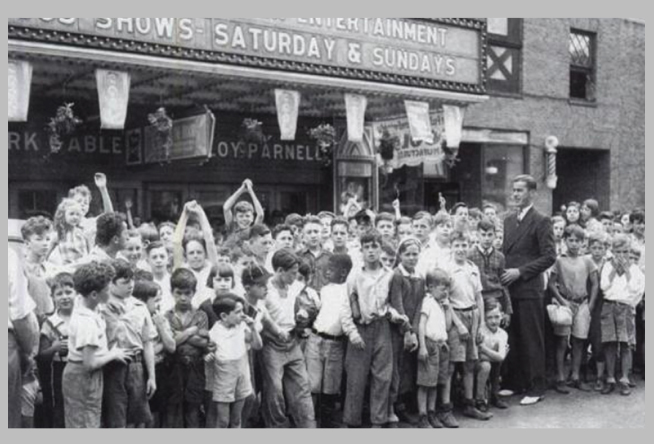 Originally built as a 1500-seat movie palace by Publix Pictures, a subsidiary of Paramount Pictures, the Peekskill Paramount Theatre first opened its doors to the public with great fanfare on June 27, 1930. The Inaugural program featured an overture by the Paramount Symphony Orchestra, an appearance by the village mayor, and “A Paramount All-Talking Picture”, The Big Pond, starring Maurice Chevalier and Claudette Colbert. 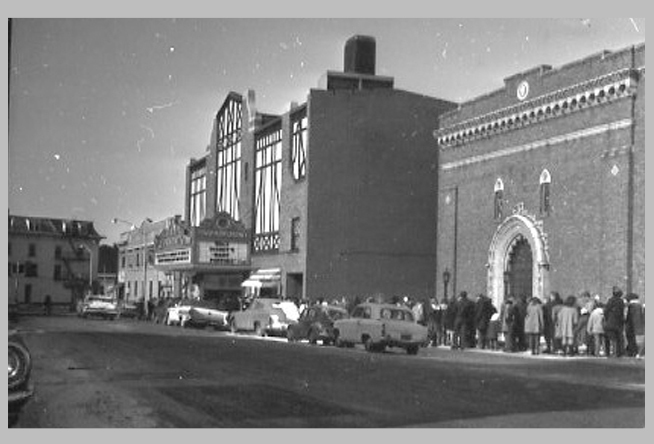 At the time, Publix Theatres was recognized as a leader in the theatre building industry, and the Peekskill Paramount was constructed as a state-of-the-art facility unrivalled in the region. Designed by the noted architectural firm of George and Charles Rapp, who designed great theatres all across the country, the Paramount boasted “a mammoth cooling and air conditioning plant, a beautifully furnished lounge, rest rooms and many other exclusive features.” It even had a great Wurlitzer theatre organ, which rose from the pit, played for years by Banks Kennedy. 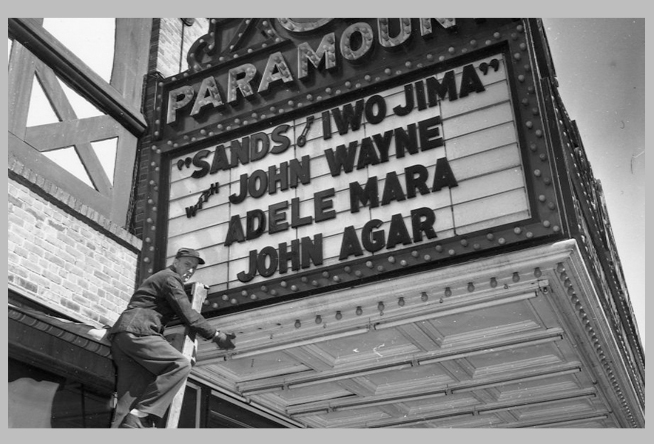 The Paramount prospered for decades despite the Depression and World War II. However, it was the advent of shopping malls and television that brought on its demise as a movie theatre. Paramount sold the building in 1973. Eventually the building was acquired by the City of Peekskill in 1977 due to a tax default. The Paramount Theater has been designated a Westchester County Landmark and is on the New York state and National Registers of Historic Places. 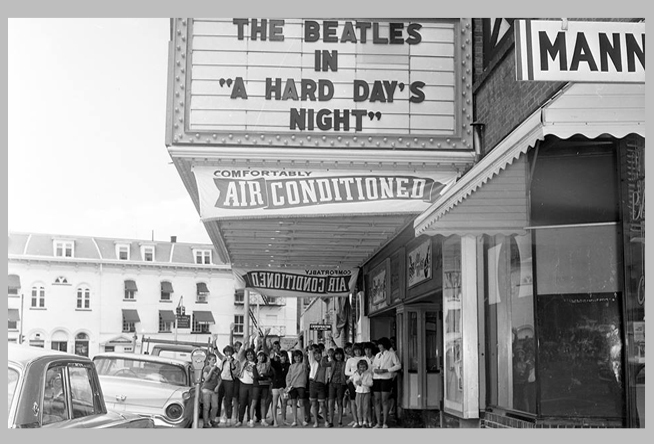 In 1977 the City leased the building to the not-for-profit Peekskill Area Arts Council, Inc, which in 1984 changed its name to the Paramount Center for the Arts, a 501(C)(3) corporation. Improvements were made to the stage, and seating count reduced, but real restoration occurred in 2002 aided by a $1 million grant from NY State in 2006 and significant donations by Entergy Corporation. Improvements included extensive restoration of the walls and ceilings with original detail recreated on a canvas wall coverings, the addition of an annex with dressing rooms and backstage dock, the incorporation of a full fly system and a full array of lighting and sound, renovation of seating and restrooms. In 2012 the Paramount shut its doors. Today the newly dubbed Paramount Hudson Valley is managed and operated by Red House Entertainment with a goal to making this landmark theatre a destination for the very best of live music and performing arts. Red House acquired the theatre in May 2013.. Red House Entertainment LLC (“RHE”) was formed by Kurt Heitmann for the single purpose of reviving and operating the Paramount Theater in Peekskill, NY, as a vibrant downtown venue, to be supported by diverse and week-round programming, which unquestionably has the potential to be the “ultimate” venue in the Hudson Valley for Live Music and HD quality digital entertainment. It was selected by the Peekskill Common Council, as a result of an RFP issued in November 2012, in competition with known interest from at least 2 known NYC venue/performing arts operators and Tarrytown Music Hall and a consortium formed by an established local hospitality service businessman. It signed a lease commencing May 2013 for an initial term of just under 18 years, with a renewal and purchase option, to be the exclusive operator and manager of the venue for commercial, nonprofit and community related uses and forms of entertainment and hospitality. With a key focus on having high-quality acts consistently, an improved physical venue, and persistent messaging and interactivity with the community, Kurt formed a management team for the RHE that includes experienced executives from the fields of video and audio in entertainment production; arts and nonprofit management including marketing, communications, public relations, operations, and educational programming; artist management, event sponsorship, concert production and promotion; television development and sales, and brand development, licensing and merchandising. Kurt Heitmann was born and raised in Peekskill New York, and now resides 10 miles north in Garrison.